Classical Lost and Found: The Lighter Side Of Vissarion Shebalin : Deceptive Cadence Like his friend and compatriot Dmitri Shostakovich, Soviet composer Vissarion Shebalin swayed with the dictates of the regime, from grand success to humiliating condemnation. A new album of orchestral suites puts the lighter side of Shebalin's music into focus. 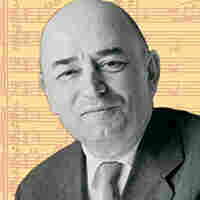 Vissarion Shebalin's music, like that of his compatriots Shostakovich and Prokoviev, was denounced by Soviet officials. Except perhaps for dedicated Russophiles, composer Vissarion Shebalin will most likely be a welcome new discovery. He was a student of Nikolay Myaskovsky, highly respected by Prokofiev and a close friend of Shostakovich. And like each of those composers, Shebalin was formally condemned by Soviet officials at the 1948 Party Congress in Moscow, a decree that forced the composer from his directorship of the Moscow Conservatory. 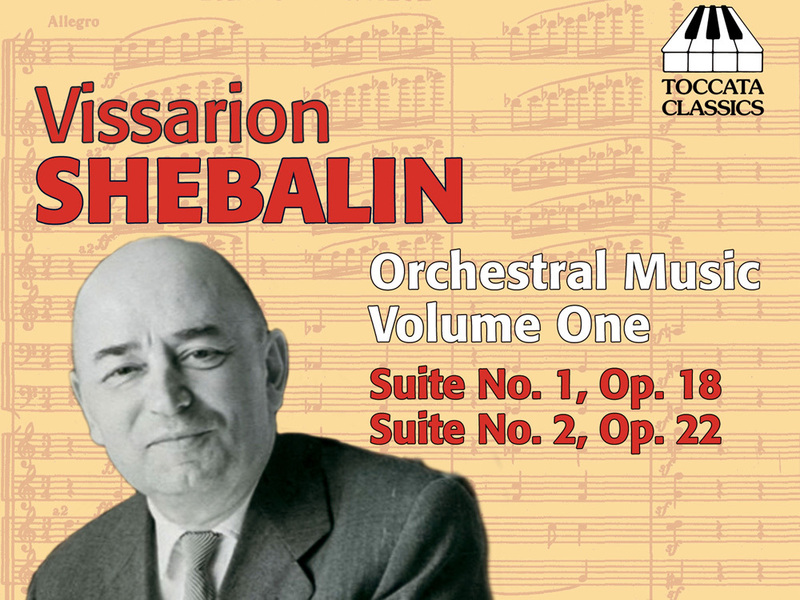 Shebalin was prolific in every genre, including incidental music for the theater, from which he extracted the two orchestral suites on this album. They are presented here in their revised 1962 versions for the first time on CD and represent the lighter side of Shebalin's music. Originally dating from 1934, Shebalin's Orchestral Suite No. 1 is derived from two plays produced by the renowned Russian director Vsevolod Meyerhold, who met a grisly fate at the hands of Stalin's security goons. The first three of its six sections include a halting funeral march, a 1920s-sounding dance and a slow waltz featuring an unctuous clarinet and violin. The jazzy atmosphere of the dance returns in the middle of the fourth number (click above to listen). An aria with piquant oboe solos follows. The suite concludes with a more conventional-sounding waltz, which builds to a flamboyant climax reminiscent of Ravel's La valse, with its Viennese twists and turns. The second suite is distilled from music for Meyerhold's 1935 production of Alexandre Dumas the younger's The Lady of the Camellias, which also inspired Verdi's La traviata. The first of its eight selections is a lush waltz, bringing to mind those in Prokofiev's ballets. The mood then becomes more Latin for the next three. These include a spirited castanet-accented tarantella, a slow waltz with an oily bass clarinet and a bolero recalling Ravel's famed piece, as well as his Mother Goose. A romantic waltz follows, and then comes a whimsical "potpourri," beginning with a chortling bassoon reminiscent of the "Dance of the Cygnets" in Tchaikovsky's Swan Lake. The penultimate "Romance without words" is a mellifluous song, after which the suite ends with a cheeky cancan galop concluding, as it were, in the middle of Offenbach's Paris. Conductor Dmitry Vasiliev leads the Siberian Symphony Orchestra (from Shebalin's hometown of Omsk) with performances that bubble with energy in the animated numbers, but are sensitive and passionate in the introspective ones. Bob McQuiston revels in under-the-radar repertoire at his website Classical Lost and Found.